Have you got a guitar at home? Electric? Acoustic? Doesn't matter! If you do, and you also have a kid that is dying to jam on it, we can help! 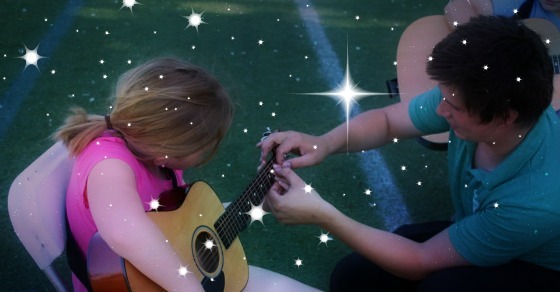 Throughout the course of the week, guitar campers will learn how to hold the guitar properly, pick strings, and strum chords. By the end of the week, campers will be prepared to play a song together as a group. Parents are invited to come watch our musicians perform in our camp show on Friday at 11am. Campers need to bring their own guitar.